Ashes in the Snow, aka Hot Shot, is a beautiful jet black and white male with a strong level topline, beautiful fiber, gorgeous banana ears and loads of style and presence. He is very sweet natured and curious. 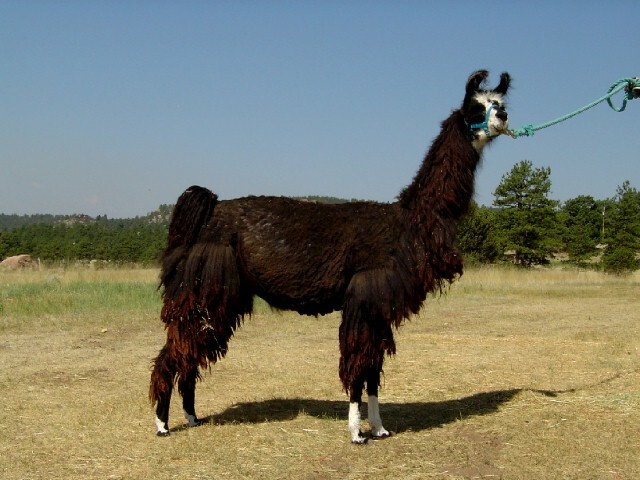 Although his sire is a suri and normally produces suri fibered crias, Hot Shot isn't a true suri; his fiber has lock structure to it but is more silky than suri. I was hoping to get him sheared last summer but didn't get a chance to get it done. 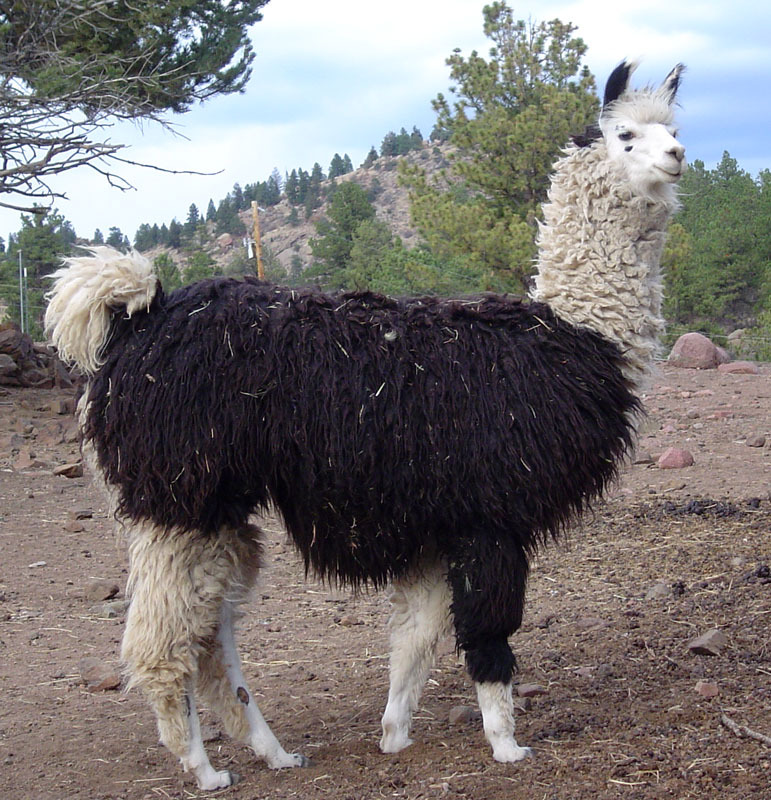 We plan to get him sheared this summer. 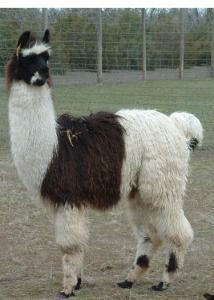 I will take new photos and post them after we get him sheared. This boy has matured beautifully and is ready to go to work as a herdsire. 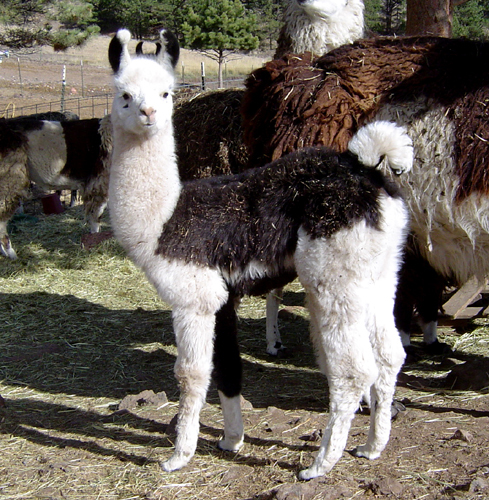 Fabulous bloodlines in this male: Hot Shot's sire is MGF Icebreaker (an Argentine Don Zunca son). His dam is Winona Wildfire, whose sire is SS Handel - a Grand Champion and Regional Champion who goes back to East Fork Narcissus and Commander Cody. 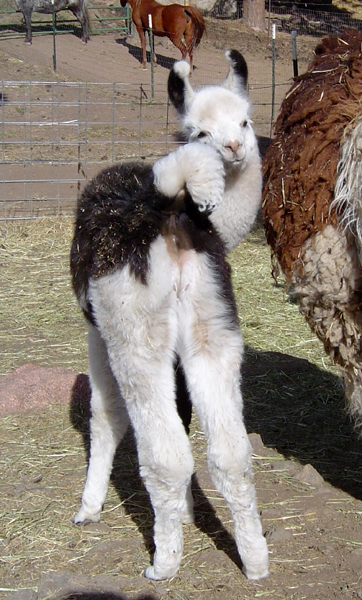 Winona's first cria, Dazzling Dream Girl, was the 2006 Rocky Mountain Regional Grand Champion Medium Wool Female. 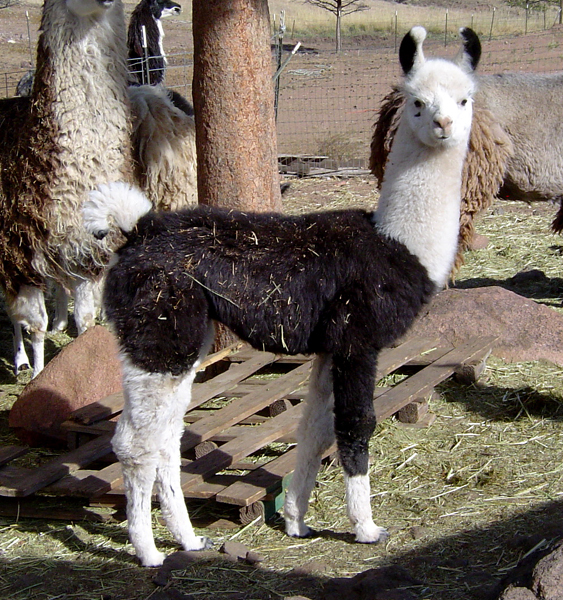 The following photos are of Hot Shot when he was 5 weeks old and show his fabulous conformation and structure very well.